Question: At the end of February, once again we are going to the Arava desert. How can we manage to not erase what we already achieved the first time? Answer: This cycle is different from the previous one. You will see that the first time everything became realized suddenly, like in a naïve and unsophisticated child. We succeeded then, but this time the success is possible only after multiple problems, greater contemplation and fluctuations. After all, each time the desire becomes more cunning and gives greater resistance. No matter how high you rise, your evil inclination rises above you. This is why we cannot repeat something that already happened. The most important thing is to be involved in this, to prepare and to understand that we have to unite and there is no other choice. Otherwise, there is no use to even start. There is no need to go to the wilderness if we are not bringing a real desire. This desire appears in the broken heart. In the desert, the one that wins and survives is the one who really sticks to the path. On one hand he is devastated, but on the other hand, he has the end of the thread. This thread is the unity with the friends. In the end, we are not exiting the desert, but rather it turns into the land of Israel flowing with milk and honey. We will receive all spiritual abundance right at the “spot” if we unite. Then the desert, which lies between us, will turn into the Promised Land, into the intention, the yearning for the Creator. There we will reveal Him. With Whom Should We Make Our Attack? Question: Freedom of will, is it one’s voluntary agreement to be a part of integral upbringing to become an integrated human being? Answer: It is a realization of the necessity and the fact that there’s nothing but this. Nobody wants this; after all, we’re all egoists. However, when you begin to study and to see where everything is headed, you begin to understand the importance, the necessity, and inevitability of the next state. You also begin to wonder what will happen if you choose to shut your eyes like a small child that denies the existence of something simply because he doesn’t see it. If I approach this consciously, then I see the terrible suffering on all levels that are befalling to push me to it. This suffering is increasing gradually, not descending as a huge immediate blow. First there is a little prodding, and then it gets stronger and stronger. But, I can already imagine what it would be. Now we have come to serious prodding. Just look at how many natural disasters, revolutions, and other difficulties we’ve had in the past year. People are even openly discussing the possibility of nuclear war, but they are talking about it too softly. Opinion (Gerald Celente, the founder of Trends Research Institute, from ETF Daily News): “Twenty-two months of hysteria of an impending European financial collapse, starting with Greece in March of 2010, will finally come to an end in 2012…. Comment: Everything happens exactly as in Marxist theory. The strengthening of class struggle will lead to the liberation of the masses from the power of capital. Only, it is desirable that it should happen in a peaceful way, through realizing the need to change our attitude toward society and the world from egoistic to unified, as required by global integral nature. Opinion (Professor Klaus Schwab, from the World Economic Forum): “Over the last three years, the world has been engulfed by political, economic and, particularly, financial crisis management. We have lost sight of the fundamental transformation that the world is undergoing and of where conventional modes of decision-making have become outdated. What we clearly need are new models for global, regional, national and business decision-making which truly reflect that the context for decision-making has been altered – in unprecedented ways. “Let me outline the four new models I consider ‘musts’ if we are to successfully push beyond the current impasse in addressing the critical challenges. “First, a new model is needed to account for the fundamental power shifts that have already and are continuing to take place. I am thinking not only of the seismic shifts of geopolitical and geo-economic power from West to East and from North to South, but also of the need to integrate new non-state actors who want to have their say and the capability to do so. Power has become much more distributed. “Thus, we need new models where governance processes on all levels integrate these newcomers in the most collaborative way. In the old world, it was hard power – hierarchical power – that was decisive. Then came soft power – the capability to have a convincing message. But today, we need to integrate empowered newcomers in what I call ‘collaborative power’ – the capability to exercise collaborative power will determine the future on the business, national, regional and global levels. “A second new model is needed to acknowledge that we live together in a multicultural, multi-ethnic and multi-religious world. Prevailing values will have to increasingly accommodate diversity with substantial challenges for national and individual identities. We will only make lasting progress by recognizing that we are different but interdependent. Thus, we have to cultivate a much greater feeling of regional and global togetherness. “A third new model is needed to seriously address the social impact of globalization and the new wave of technological innovation. Growing inequities within and between countries and rising unemployment are no longer sustainable and are triggering social protests, as witnessed throughout the world. We must rethink our traditional notions of economic growth and global competitiveness, not only by focusing on growth rates and market penetration, but also, equally – if not more importantly – by assessing the quality of economic growth. “How is growth to be achieved in the future? How sustainable is it and at what cost to the environment? How are the gains distributed? What has become of the family and community fabric, as well as of our culture and heritage? The time has come to embrace a much more holistic, inclusive and qualitative approach to economic development, based on the ‘stakeholder’ and not on a pure ‘shareholder’ concept. “We need a fourth new model for job creation. The global economy is growing more slowly, productivity is still making substantial progress and unemployment is skyrocketing. We also know that hundreds of millions of people will enter the job market in the next decade. In addition to the productivity increases driven by greater resource efficiency, the industry model is changing and moving upscale, where fewer people can produce much more value. “The key to mitigating a catastrophic situation is to provide young people with the capability to create their own jobs: to move from the pure concept of unemployment to the concept of micro-entrepreneurship. This will require fundamental changes in educational systems, nurturing a societal spirit of entrepreneurial risk-taking, allowing true gender equality – to integrate the other half of hidden talents – and making innovation and the support of innovation a key imperative in public and private life. The success of any national and business model for competitiveness in the future will be less based on capital and much more based on talent. I define this transition as moving from capitalism to ‘talentism’. “I have outlined only four of the new models that form part of the great transformation regionally and globally to illustrate that we are at a historic inflection point. In Davos, we will discuss many more aspects of the great transformation, particularly how they create new business models. Until we begin to implement these objectives, the crisis will not leave us. After all, it reveals the flaws in our system. In the News (from EurekAlert): “Researchers at London School of Hygiene & Tropical Medicine and Oxford University estimated that soaring stress brought on by job losses could prompt a 2.4% rise in suicide rates in people under-64 years of age, a 2.7% rise in heart attack deaths in men between 30 and 44 years, and a 2.4% rise in homicides rates, corresponding to thousands of deaths in European Union countries, such as the UK…..
“The report also suggests that in poor countries, where investments in active labour market programmes are much lower or virtually non-existent, the death toll brought on by the financial meltdown would be much worse…. “The study, entitled The public health effect of economic crisis and alternative government policy responses in Europe: an empirical analysis was written in the wake of concerns that health might suffer as a result of the financial crisis…. Comment: Educating people toward a new lifestyle, rational consumption, and necessary production will lead to a healthier population. Otherwise, while we reach the same results against our will, forced by nature, through recessions and bankruptcies, the number of deaths will increase. Question: How can I convince myself about the urgency of spiritual work if we constantly lose the direction and strength on the way? Answer: On the contrary, I must constantly worry for the correct direction and strength for the work. We only need to clarify these things according to the laws of creation, and this is what we learn. The wisdom of Kabbalah is a wisdom that includes all the wisdoms. It investigates the one general nature. But humanity, in the meantime, doesn’t understand that it exists in this global network. It exists in darkness and is immersed in complete unknowingness. 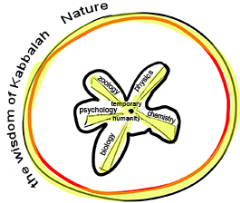 In order to clarify the surrounding world, humans divide it into separate parts and match them to the scientific disciplines: physics, chemistry, biology, zoology, etc. In this way we have “scratched out” nuggets of knowledge from the mountain of darkness we are in. The wisdom of Kabbalah, on the other hand, explains each field in terms of one law. It doesn’t refute the general, traditional sciences. All the laws that we discovered with the help of traditional sciences belong only to a small area of our perception, in the egoistic desire, which is opposite to the nature of creation. Therefore, we must understand that in Gmar Tikkun (the end of correction), when this desire disappears, we will find other laws that transcend time, movement, and space. There is another physics and chemistry; everything is different. This reality exists only temporarily, until we enter the real and wide perception of the world. Our entire world exists only so that we will exit it and find independence. It gives us a base, a beginning point, central and independent, and disconnected from the Creator. It is farthest from the world of Infinity, the most deeply immersed in darkness, but it is specifically from this point that we begin our advancement. The laws by which we are moving toward the goal of creation, are not similar to those laws that are moving people without a point in the heart. They belong to the AHP (Awzen, Hotem, Peh – Ears, Nose, Mouth), whereas we belong to GE (Galgalta ve Eynaim – Skull and Eyes). We must attain feeling and intellect; we need to know the system, understand it, and know how to operate it, imitating the laws similar to the Creator according to the law of the “head,” in order to attain the thought of creation. We need to manage the entire creation as if from the position of the Creator. This is the task of the head. The Creator created the world of Ein Sof (infinity) and we, in our work with the line and circles, build the head surrounding Ein Sof where the thought of creation is found and is concealed from us today. We work within Malchut of Ein Sof and build our desires in it. By this we move on the line; we constantly build new heads in similarity with the Creator, until after all the acts, we attain Him. Then all these individual heads combine to a general head, which is the attitude, the thought, the beginning of creation. We reach this point from which everything begins and is included in it. This is the work of Galgalta ve Eynaim. In the meantime, we don’t understand how the parts that belong to Galgalta ve Eynaim and AHP will connect to each other. In the meantime along the way, there is a clear “division of labor”: The reward is the same for all, in that we are all equal. Moreover, in Gmar Tikkun the greatest lights will enter the greatest Kelim, the desires of the AHP. It is hard for a person to overcome the “barrier” (Machsom), an obstacle, and adopt the approach that Kabbalah teaches which is so contrary to his habitual, egoistic perception. But if he rises above his egoism to bestowal, love, mutual responsibility, and guarantee with respect to the fellow person, it would mean that he has acquired spiritual power. If he really were able to rise above himself, it would mean that he is above the restriction because he diminished his egoism and achieved a spiritual attitude towards fellow man, spiritual perception, the upper world. A person does not understand and does not feel that through this path he can reach the eternal, perfect upper dimension instead of the limited reality, which he now feels. All this is quite close to us, and that is why it seems so simple and primitive: Any love towards the other, which we instill in our children is to prevent them from fighting with each other. This is the first obstacle, which takes years to overcome. But we have to understand that each stage of spiritual work requires time until we learn and accept it. It depends on how much a person can be included in the group, through which he accelerates his development. If he is impressed by others and strives to absorb as much as possible from them, enters the group with the eyes closed, then he begins to see how effective this tool is. In this way, he can get the desire of the higher dimension. A spiritual vessel is built by the quality and quantity of relationships with others. The quantity is determined by the fact that eventually a person must unite with all souls because all together we make up one soul: Malchut of the world of infinity. And the quality is determined by the fact that he must unite with them through complete reception and bestowal, so that everyone’s desire is linked with the others like a cogwheel, and turns all of them; everyone depends on him, and at the same time, he depends on everyone else. 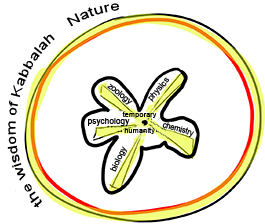 Connecting in this form, everyone is transformed into an integral part of the overall system. Everyone depends on him and he turns everyone, but he turns them according to the overall program, their collective desires, and everyone’s individual desire. This is the perfect system that we must achieve. Why The Souls Are Linked Like Cogwheels?